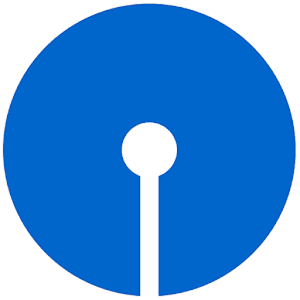 SBI Pay App – Get Rs 60 Cashback on 1st Utility Bill Payment + Rs 30 on Next 3 bills. BHIM SBI Pay’ (UPI App of SBI) is a most innovative payment app that allows any Banks’ customer to send or receive money to/from any other Banks customer using a single app & also allows to pay for services like recharge, food orders, bill payments & local deals. Offer valid for 1st Utility Bill Payment from BHIM SBI Pay App. So Hurry up !! 2. Install and open the BHIM SBI Pay App. 7. You will get the Rs 60 cashback in your SBI Pay point wallet and can be used for next transactions. • Use coupon SBIBILL60 & get Flat Rs 60 cashback on 1st Utility Bill payment on BHIM SBI Pay. • Minimum order amount required to avail the offer is Rs.200. If the amount is paid partially via SBI Pay points and the amount paid using BHIM SBI Pay is less than Rs.200, then the coupon won’t be applied. • Coupon code is valid once per user. • Coupon code is valid from 1st December, 2018 to 31th December, 2018. • Cashback amount gets calculated on order value exclusive of SBI Pay points, tax & other charges. • SBI Pay Points will expire in 30 days from last credit date. • Use coupon SBIBILL30 & get Flat Rs 30 cashback on 3 Utility Bill payments on BHIM SBI Pay. • Minimum order amount required to avail the offer is Rs 200. If the amount is paid partially via SBI Pay points and the amount paid using BHIM SBI Pay is less than Rs.200, then the coupon won’t be applied. • Coupon code is valid 3 times per user. • Coupon code is valid from 1st September, 2018 to 30th September, 2018.